MACOMB COUNTY, Mich. (WXYZ) — Federal prosecutors are asking a judge to revoke the bond of the Macomb County mother at the center of an adoption probe based on video taken by the 7 Investigators. 7 Action News recently aired undercover video of Tara Lynn Lee using what appears to be a mobile phone on Monday, February 25, 2019. As part of Lee’s bond conditions, she is not allowed to use any electronic devices and the only phone she’s allowed to use is a landline phone. A judge will hold a hearing on Thursday afternoon to determine whether Lee violated her bond by using her phone. The 37-year-old from New Haven is charged with wire fraud for allegedly running a cross-country adoption scheme in which she charged adoptive couples thousands of dollars to be matched with birth moms and babies that didn’t exist, and sometimes “double-matched” birth moms to more than one couple. In the motion filed Tuesday, prosecutors point out this is the second time they’ve tried to get the federal court to revoke Lee’s $10,000. Their first motion was filed under seal, and a hearing was held on Friday February 22, 2019. According to the latest motion, “the Court found both (1) probable cause that Defendant had committed a federal, state, or local crime while on release (witness tampering), and (2) clear and convincing evidence that Defendant had violated a condition of her release (no contact with witnesses or victims). Must obtain [a] landline phone and Def. is only to use this phone. 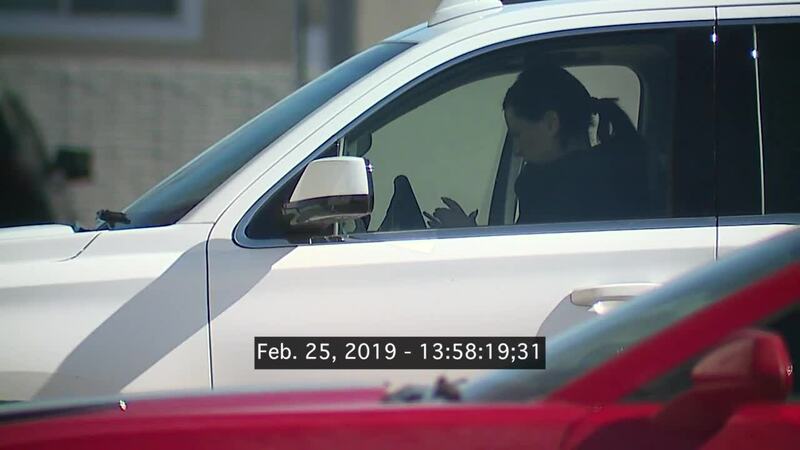 At 1:58 p.m. on Monday, February 25, 2019, our cameras caught Lee using a mobile phone while sitting in her vehicle at a location in St. Clair Shores. Now the feds want the Court to issue an arrest warrant for Lee. Sanford Schulman, who represents Tara Lee, filed a response to the government late Tuesday. He says in order for Lee to meet her bond condition of maintaining a job, she needed to get a landline installed at the new beauty shop that Lee previously filed paperwork with the State of Michigan to open. The beauty bar is not yet licensed by the state. Schulman writes in his response that Lee made arrangements to be present at the St. Clair Shores business "where Comcast had scheduled the installation of the landline because Ms. Lee was the accountant [sic] holder. The defendant was present and used the office phone to provide the necessary information to facilitate the installation of the landline... Tara Lee was outside assisting with the installation when the photo and video were apparently taken." The 7 Investigators saw no one from Comcast on the premises the day Lee appears to be using the mobile phone. If you have any information about this adoption probe, please contact Heather at hcatallo@wxyz.com or call 248-827-4473.